Capable of reaching tens of thousands of households in Florida and Alabama each month, The Blue Envelope® of coupons from Valpak makes the region feel a lot smaller for small and midsize businesses. Our direct mail and digital marketing solutions will keep your brand on the minds of consumers and ads in front of their eyes. Let Valpak of The Emerald Coast introduce you to the neighborhood – again or for the first time. Mail monthly or seasonally to your target audience using your choice of print format, from single-panel coupons to circulars. Valpak of The Emerald Coast can also build a website for your business and inject it with the keywords your demographic is searching for, helping draw relevant views to your site and business profile page on valpak.com. As a Google Ads-certified agency, our capabilities extend beyond search engine optimization. We can also launch pay-per-click campaigns, crafting ads and displaying them on sites your target audience visits. It’s also easy to track your ROI. Valpak’s performance dashboard empowers you to monitor engagement with your print and digital campaigns. Gather valuable data on the demographics of consumers who engage with your content and measure the quantity and quality of calls and clicks you attract. It gives you the proof of performance you demand of your ad spend. 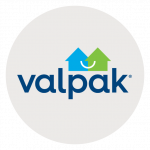 Partner with Valpak of the Emerald Coast and reach more than 180,00 Florida and Alabama households. We currently mail to qualified households in Pensacola, Milton, Fort Walton Beach, Crestview, Navarre, Gulf Breeze, Destin and other western Panhandle communities. We also reach residents in Mobile, Fairhope, Daphne, Foley and other cities in Southwest Alabama. For specific dates and coverage, contact your Valpak of The Emerald Coast representative.